Another year flew by and we can proudly say it was an exciting one. We talked about new trends in the car industry, you also learned a lot about auto transport, and together we explored some interesting vehicles. Because of all that, today I want to have a recap. In 2018 there were 5 cars Corsia shipped that I particularly fancied. Some of them you know quite well, but there is at least one that has been pretty much lost to history. Let’s dig them all up and have them inspire us for even more interesting cars this year! You and I can both agree that a “favorites” list is inherently subjective. Yet there still have to be some requirements for the vehicles that are in it. 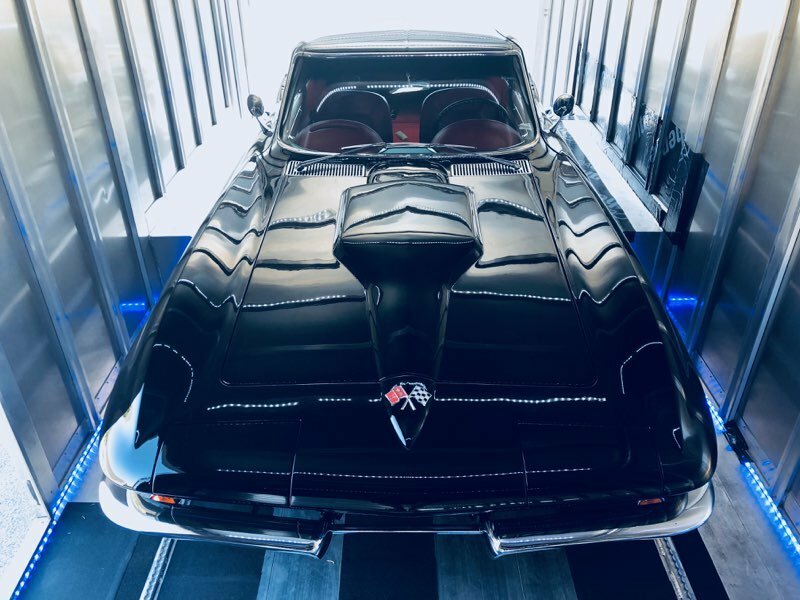 Since car shipping in California is a big market for Corsia Logistics, you can imagine how many classic cars go through our carriers. Are they all interesting? Definitely! But I need to have stricter criteria than that. The main thing that I have looked at for this list is the vehicle’s history. It has to be unique in some regard. For example, if the model has become iconic throughout the years, that would matter a lot. 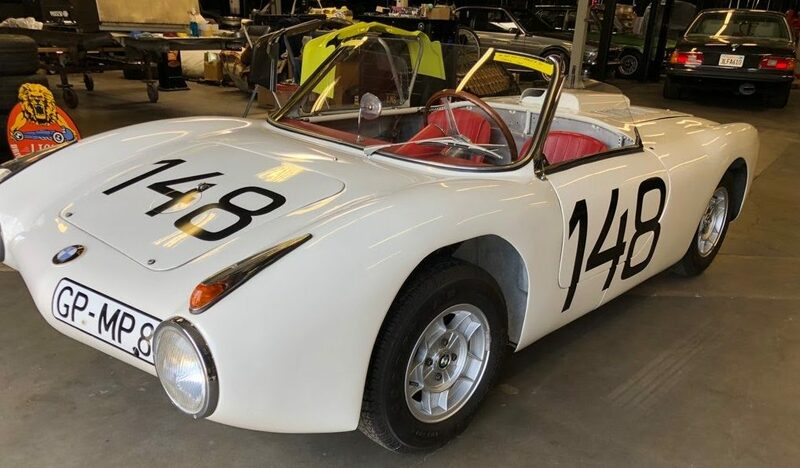 Alternatively, it may have not been the most popular, but perhaps it sparked an entirely new generation of car engineering. Or something equally remarkable. Here is a good example for you. In a previous year, we have shipped 1949 Ford Tudor Sedan. That vehicle carries a lot of history with it that is quite exciting. It was one of the cars that saved the company at one point. So, it would have made the list had it been shipped in 2018. Is your interest piqued already? If not, I have a teaser for you: in this list, you will see a racing legend, an utter disaster, an 80’s teenager’s dream, a sports car icon, and an underdog of a vehicle that saw success for 2 decades. Shall we check them out? We all know what it is like having a soft spot for something. My thing is vintage race cars. And I do not mean your everyday sports cars of old. I am rather talking about the kind of vehicle that would be used exclusively in races. Those are something special! So our first entry on the list is BMW RS 700. This car is very near and dear to my heart. Although a racing beast, it is not anything like an F1 racer for example. Obviously, this one still resembles a proper car. It does that by looking awesomely cute, too (and that is coming from a guy, mind you). But its spot on this list has more to do with its history than its looks. The base version of this car (BMW 700 Sport) was used by many drivers. They scored plenty of first places with it. Jumping to the RS 700 was, therefore, an obvious step. Needless to say, the winning streaks continued with that iteration as well. This should tell you why we were excited to ship this car. I do not really need to give many reasons why any of the old-timey Ferraris are iconic. Still, the Testarossa is special in its own way. It became the poster dream of an entire generation of teens and young adults. Then it faded away from the spotlight as it tends to happen with “celebrity” vehicles. 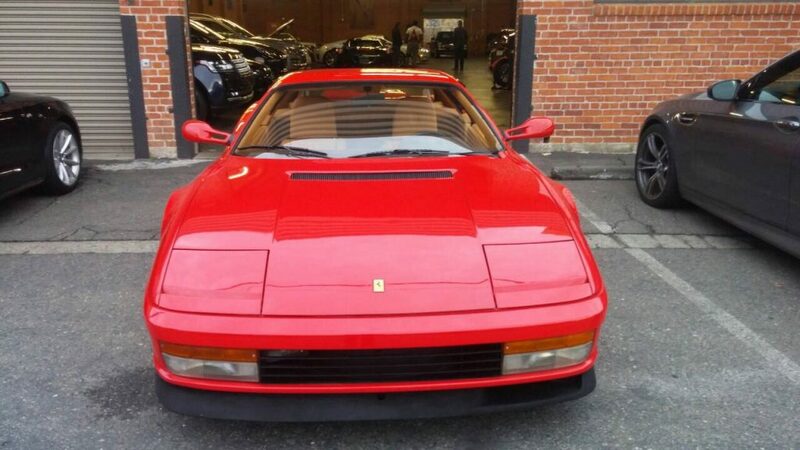 Even if you are not a fan of Ferrari Testarossa, you cannot deny that it is a great piece of engineering overall. Many other cars have tried to mimic its design to no avail. That should tell you something about building a truly unique vehicle. Though I have to admit that we are probably not going to see a similar design anytime soon. The’80s have come and gone, and they have taken this design trend with them. Luckily, here at Corsia we were able to admire it for a little while! The previous two entries were positive examples. They showed us what it means to build a successful vehicle. Yet people seem to learn more from the failures of history, rather than the successes. Hence our next inclusion on the list – 1975 Bricklin SV-1! Have you even heard of this vehicle? If I had to guess, I would say “no”. In fact, most people have not. This is why I have decided to include it among the most interesting cars we have shipped this year. Not to mention that failed car manufacturers always have something to teach us. Their stories tell us a lot about the world of automobile building. Bricklin thought they could fly close to the sun, and we all know how such things usually end. It is easy to speak in hindsight though. But many of us are dreamers, and so were the Bricklin folks. Too bad dreams alone cannot make your ideas work. If you want to learn more about the whole story, you can check out my article about the Bricklin SV-1! Currently, people in the US do not have much love for small vehicles. We have big roads, which require big cars. Everyone has their eyes on an SUV or a pickup, even if they do not drive one (or need it, for that matter). The ’80s and ’90s were quite different in that regard. Back in the day people had more appreciation for small cars. The good news is that Europeans still enjoy these vehicles. This is why the successors of this entry – 1990 Peugeot 205 GTI – are quite welcome on the Old Continent. 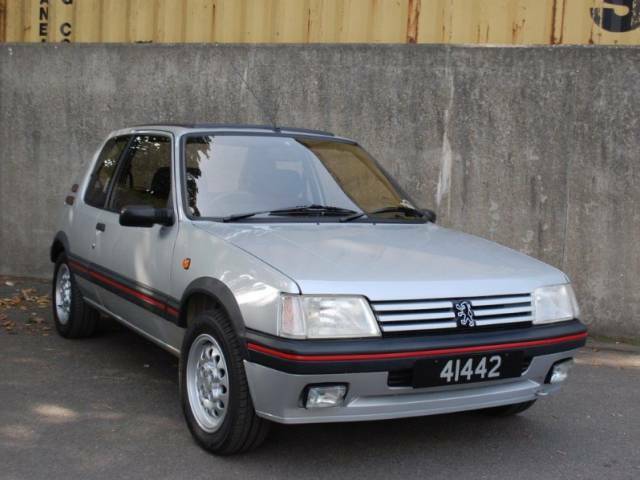 Peugeot 205 is not a pretty car by any means. The French company has plenty of other designs, which would put this one to shame. Nonetheless, people embraced the car and did not stop buying it for two straight decades. It is actually not that hard to spot it in Eastern Europe. Just imagine – a simple everyday car holds its own even after 30 years of use. That wins it some respect, does it not? So I may not find Peugeot 205 GTI particularly enjoyable, but I still appreciate it for what it is. And it absolutely deserves a spot on this list of interesting vehicles. It makes me want to see more small cars in the States. Frankly, it would make the whole parking situation around the cities a whole lot easier. Corvette Stingray – a true American icon! Let’s end this list with a popular pick. What can I say about the third generation Corvette Stingray that has not been said already? If the Testarossa marked the 80’s, this Stingray may as well be the champion of the ’70s. Out of all the cars on our list, I was most excited about this one. Looks? Awesome! Reputation? Superb! Performance? Breathtaking! This vehicle allowed people to experience the strength of 300 horsepower back in the ’70s with full steam. Provided they could afford it, of course! For a sports car, the third generation Stingray was fairly successful with about 54 thousand vehicles produced. That makes it one of the fairly affordable classics, which have also stood the test of time. So even though shipping it may not be the rarest thing on Earth, I find it greatly exciting anyway. What will the (shipping) future bring? 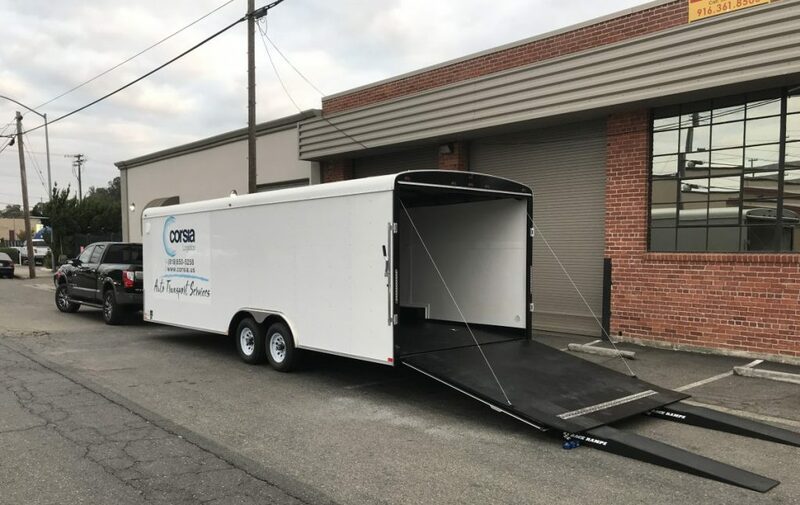 As you can see, 2018 was an interesting year here at Corsia Logistics. We are looking forward to seeing what 2019 has in store for us. Whatever it is, we bet it is going to be exciting. And you can even help us with that! If you have a vintage auto (or planning to buy one) and you want to get it shipped, we are always here to help. With our classic car shipping service, you can rest assured that your precious vehicle will be handled with care. And remember to keep coming back to our blog for more interesting stories about the world of cars! 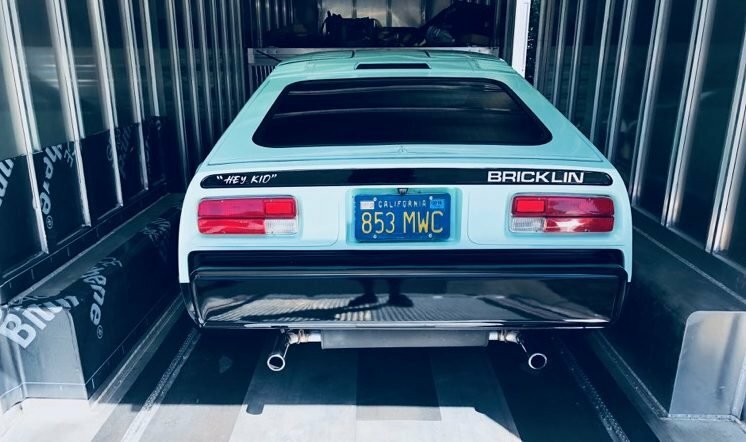 1) Bricklin – friend bought one new and picked it up at the factory, then stored it away for years. So I’m one of the people familiar with them. 2) Unless the color of deceiving me, I believe you are showing the passenger front fender and headlight of a 63-67 Corvette Stingray, not the later Mako Shark styled body.